On the Republican National Convention floor, Florida delegates and Tampa Bay area residents were optimistic about what the convention has meant and will mean to the region. “It clearly is going to be a benefit for the entire metro area and it’s going to give us an international boost … an economic boost for decades to come,” Florida at large delegate John Giotis, of Clearwater Beach, said from the RNC convention floor. 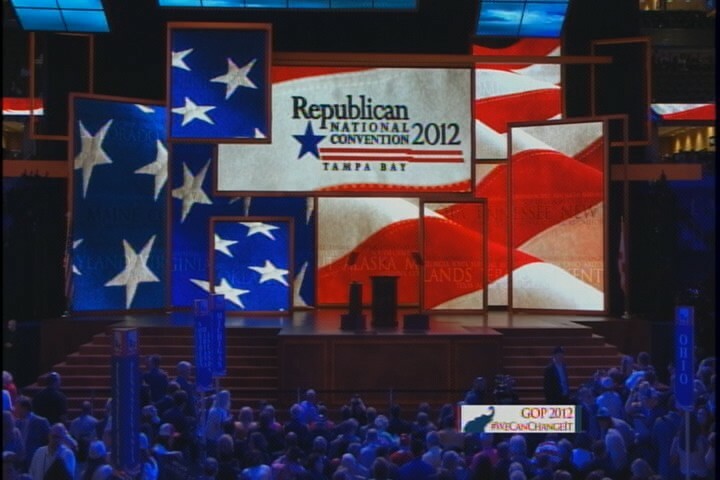 “It’s clearly an honor for Tampa and the surrounding communities” to host the RNC. For Florida Congressional District 11 Chairman and Florida delegate A.J. Matthews, holding the event in the Tampa Bay area was a moment of pride that will have far-reaching effects. Matthews said he hasn’t been able to take part in much of the outside social activities that come with the RNC as he has volunteered to help in the mornings and served as a delegate in the evenings. The three delegates didn’t speak to the delayed busing issues reported by Bay News 9’s partner newspaper the Tampa Bay Times, but an Indiana delegate who asked to not be identified said he was somewhat unhappy with how the RNC’s delegate busing has progressed. Why this delegate is noteworthy: DeNapoli comes from a county where there are twice as many registered Democrats as Republicans. Paul Ryan’s mother lives in Broward (Lauderdale-by-the Sea). DeNapoli would like to meet her and do some sort of event with her in Broward. CD 23 Republican Candidates Debate! but for $10 you will get food, refreshments, and the opportunity to participate in a countywide poll fundraiser. If you are a Republican candidate and have questions, please contact us at 954-941-7775.